There’s no doubt that fb ads can be very powerful for a number of businesses. First, because you can tap into an audience of 2 billion people. That means, that regardless of what industry you’re in, you most probably be able to target your ideal market through fb advertising. Plus, since fb advertising is a self-serving advertising platform, you have complete control over your Facebook campaign. Not only do you have control of how much you spend and for how long, you can also pause or stop a Facebook campaign that is underperforming or scale the one that is performing well. 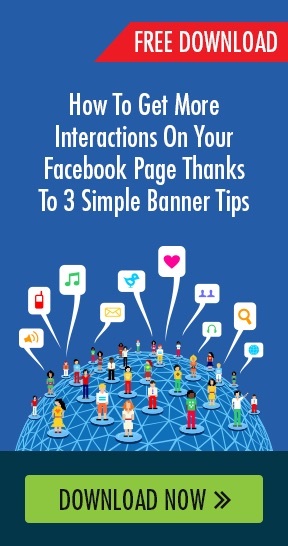 But to make sure you make the most out of the power of your Facebook advertising account, you need to know how to put together killer fb adverts thanks to the Facebook marketing tips listed here. 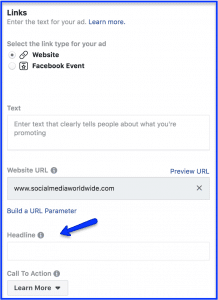 With most Facebook ad types, you will need to write a headline, text, a link description, a call-to-action and then illustrate your ad with either a carousel, a single image, a single video, a slideshow or a collection. Let’s start with the headline first. Every headline regardless of the Facebook ad types you’ve chosen, should be benefit driven and short. It should underline what is the end result of what your offer is and who it’s for. For example, should you help people generate sales online, your headline could be “the ultimate formula for selling once to many”. The benefit underlined in this headline is obviously generating more sales in less time, and the target audience, is sales people or business owners. Another headline could be “The proven system for making coaching clients chase after you”. The benefit is obviously attracting clients without having to use complex sales systems or sales scripts and the target audience is obviously people in the coaching business. Try and avoid headlines that don’t underline a benefit and are so generic, the target audience is not obvious. For example, headlines such as “Generate multiple income streams”. This headline although it underlines the benefit of generating passive income, is way too generic because it doesn’t make it obvious who the target audience is and what the strategy is. A better headline would be “multiple income stream strategies for real estate investors”. If you’d like to take your Facebook marketing to the next level, and increase the results you’re getting from your current Facebook marketing efforts by 10, click here to download my FREE Facebook marketing report. Simply enter your name and email and I’ll instantly send you the report. 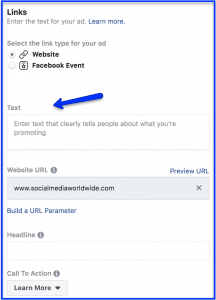 Next, regardless of the Facebook ad types you’ve chosen, you have to write a description for your fb adverts, also known as the “text” of your ad. There are 2 types of descriptions you can write, long form copy or short form copy. Usually long form copy is needed when your audience is cold. In other words, doesn’t know, like or trust you and therefore would need more convincing. On the other hand, short form copy is used when the audience you’re targeting are people who are already familiar with you or your brand and don’t need as much convincing. The text section of your fb ad should emphasize the problem your audience is facing for which you’re offering a solution to. For example, the text for your fb ad could be “sick and tired of selling your products or services ‘one-to-one’ and going nowhere? Would you like to discover how to sell once to many?” Here, the problem emphasized is again what many sales people and business owners face, is not leveraging their time and therefore reaching a plateau when it comes to sales which of course affects their level of income. Then, write the link description. Your link description appears below your fb ad image and your headline. In the link description is where you offer the solution. 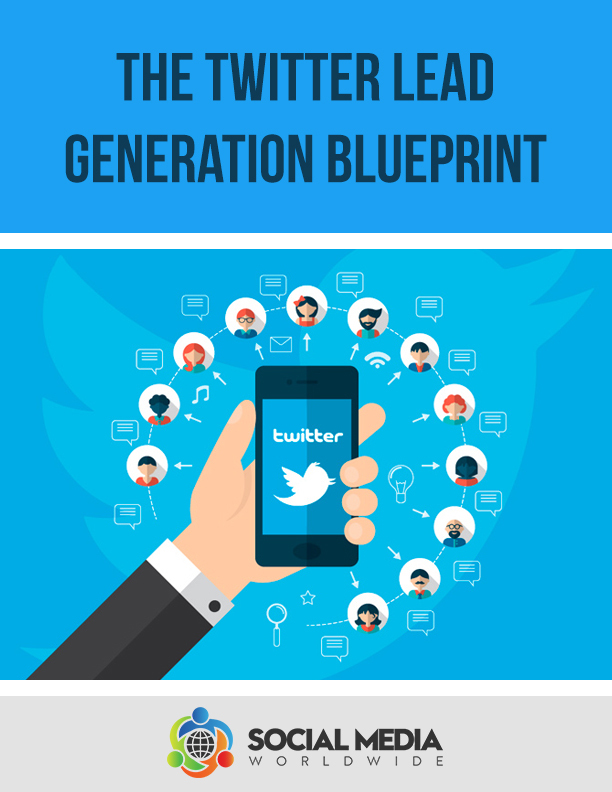 For example, if the problem you underlined in the text was “are you sick and tired of selling your products or services “one-to-one” and going nowhere?” your solution in the link description could be “If you’re a business owner and want to significantly scale your sales without employing more staff, this proven formula shows you step-by-step how to finally sell one-to-many and free up your time while growing your business”. If the problem you underlined in the text was “Are you fed up with running expensive Google ads which get little to no response” your solution in the link description could be “If you’re a Google advertiser and want to finally start experiencing return on your investment, our rolodex of some of the highest converting Google ads will show you how”. In terms of the images for your fb ads, remember they should be 1,200 x 628 pixels ideally and images should follow the 20% text rule. What this means is that your image in your fb adverts should not have too much text, and text should only take up a maximum of 20% of your image. To make sure your image follows this rule, upload your picture on https://www.facebook.com/ads/tools/text_overlay. When you do, a message will appear letting you know whether you can use your image or not. 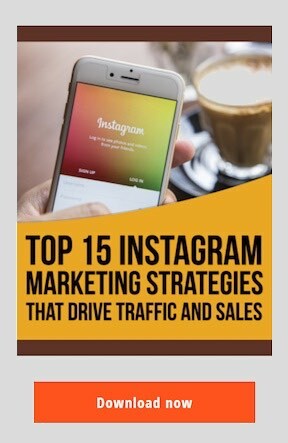 When using Facebook ads, images should have bright colours so they stand out in people’s newsfeeds so avoid black and white pictures for example. You also want to avoid stock images as they’ve been overused and are most of the time not original. People associate stock images with ads so it’s best to use your own images. Images that tend to do well are pictures of people because they look real and not salesy. 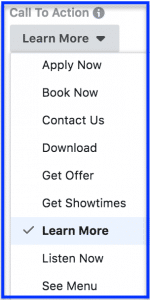 Lastly, choose your call-to-action from the drop down menu provided in your Facebook advertising account. Should you be targeting a cold audience when using Facebook ads, avoid high commitment calls-to-action such as “shop now”. Instead, choose low commitment calls-to-action such as “learn more” which are less intimidating for an audience that doesn’t already know you. 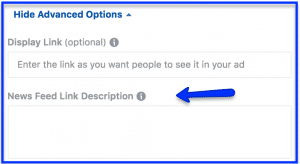 When using Facebook ads to target existing customers or email subscribers or people who have already browsed your website, you can use calls-to-action such as “shop now” or “sign up”. When putting together your Facebook campaign, whether it’s the headline, the text, the image or the link description, make sure you don’t use superlatives such as “the best” or “the biggest” as it’s frowned upon by Facebook. Plus, avoid making big claims, especially about health or money. For example, you can’t make claims such as “The formula for making a million dollars” or “the cure for diabetes”. If you make big claims in your fb ads or your Facebook ads are quite hyped and use superlatives, chances are your ads won’t be approved. You also want to avoid “click bait” in your ad. Clickbait is content that entices people to click on the call-to-action in a misleading way. For example, content that says “what happened after this person took this vitamin will shock you” would be considered as clickbait. Another example of clickbait would be “this made real estate agents fear for their life”. These sorts of fb advertising is considered to be clickbait because it raises people’s curiosity in a misleading way. Instead, to make sure you don’t raise flags in your Facebook advertising account, be transparent about your offer. Does Your Business Need a Mobile Marketing Strategy?